Do you have little ones with lots of little teeth? Me too! My kids rarely drink soda and sugary drinks but they still get cavities. They brush often but not always well. We have had some great months and not great months, where brushing teeth is concerned. Making it fun is the only way they will do it right, and want to continue brushing and those good habits through their whole life. So, here are a few ways we make brushing teeth fun. 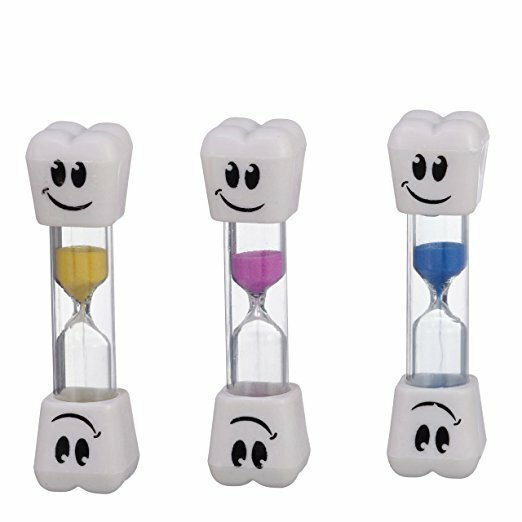 Tooth Timers: These timers are so fun! They run for 2 minutes. My kids have turned it into a race the timer game! They love it! 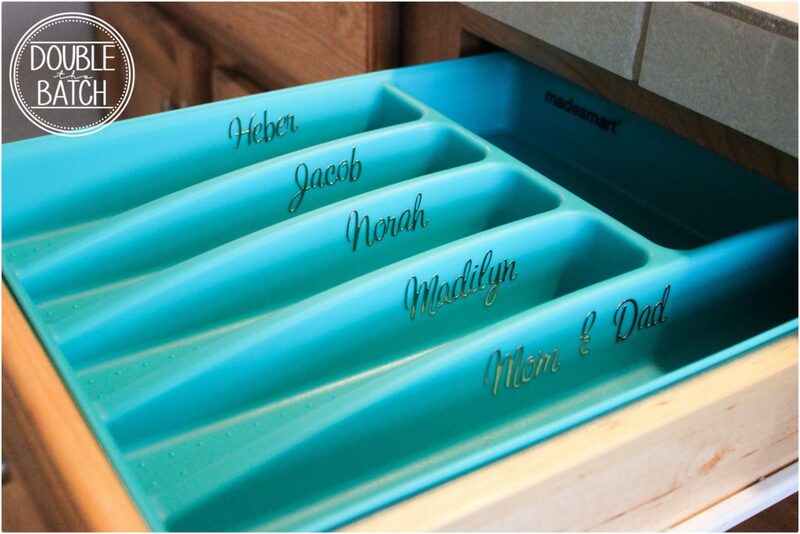 Give them their own space: I found this flatware drawer organizer and labeled it with stickers. I covered the names with Mod Podge to seal it and protect it from toothpaste and water. 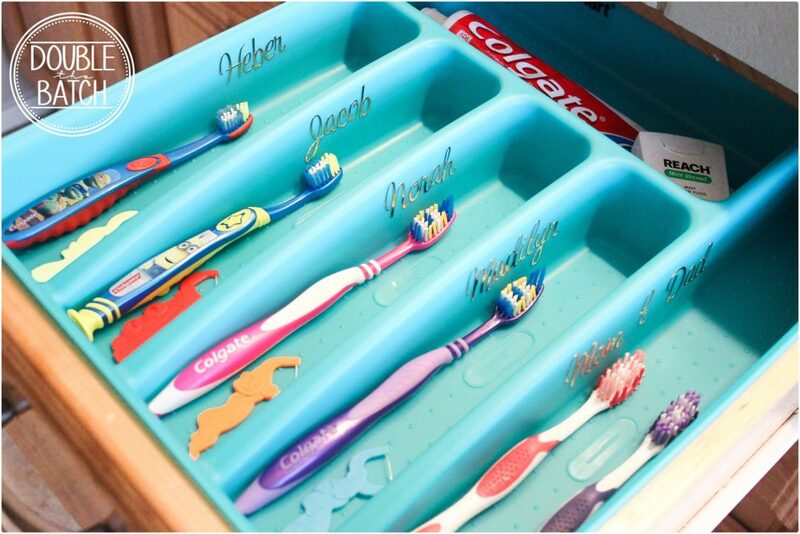 I added a toothbrush, floss and timer to each of the kids’ compartments. They love it and they have taken surprisingly good care of their area. It has been 3 months and the drawer is still clean! It’s a miracle! New Toothbrushes: We add new toothbrushes to Easter baskets, Christmas Stockings, and Family trips. They are pretty cheap and I have found that it renews their desire to give their teeth a good scrub. Brush with Mom: What better way for the kids to see how to do it then watch Mom and Dad! Play copy-cat! The kids will love it! 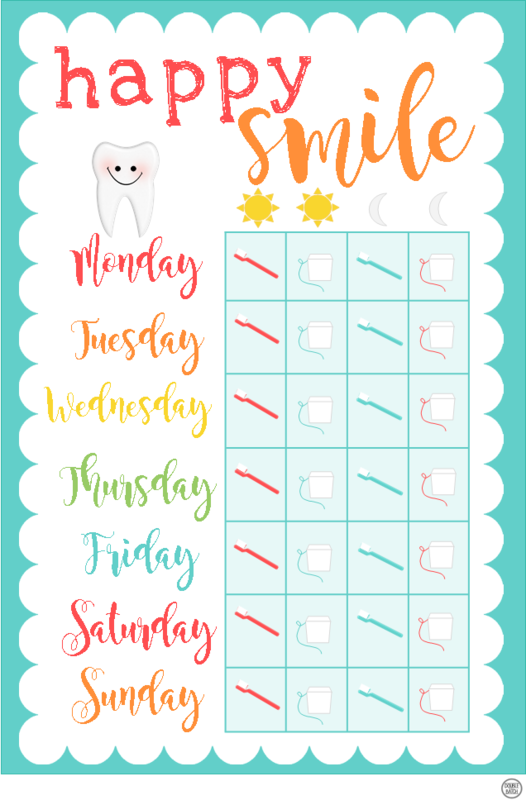 Tooth brushing Chart: I made a little chart for each of my kids to fill in with stickers or markers throughout the week. I laminated it so I could reuse it over and over. It only takes a minute to take off the stickers. My stickers have been really great to even reuse. When I take off the stickers I just stick them on the back of the chart and use those stickers to fill it in the next week. 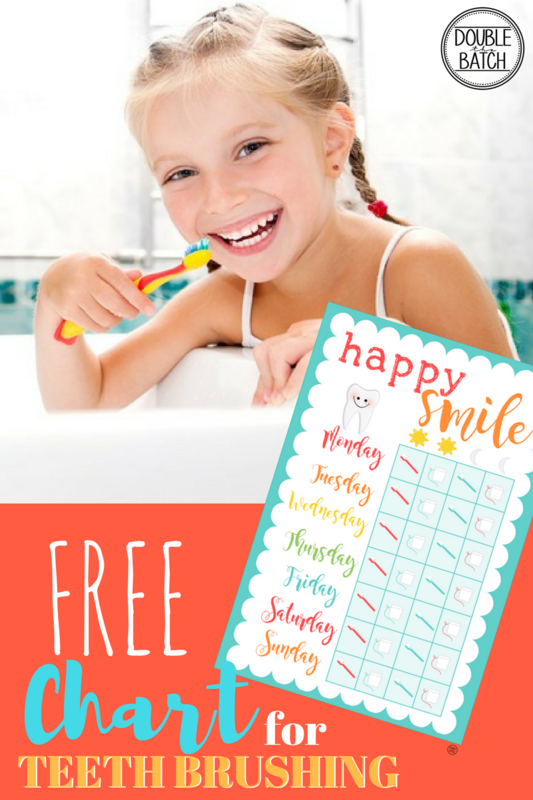 GET YOUR CUTE FREE TOOTH BRUSHING CHART HERE! What do you do to keep YOUR little smiles healthy?